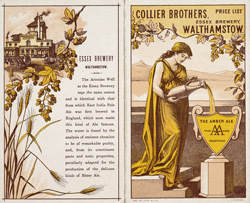 The British brewing industry was greatly affected by the industrial revolution of the 18th and 19th centuries. First, steam technology was introduced to power the large machines, and then artificial cooling was invented. Towards the end of the Victorian period, there was much scientific research into fields like microbiology, which, as well as being vital for the study of medicine, was invaluable for brewers in the production and use of yeast.